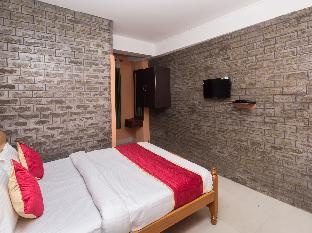 The 3-star OYO 10831 Balaji Guest House offers comfort and convenience whether you're on business or holiday in Shillong. The property offers a wide range of amenities and perks to ensure you have a great time. Free Wi-Fi in all rooms, room service, airport transfer, newspapers are there for guest's enjoyment. Some of the well-appointed guestrooms feature towels, mirror, fan, internet access – wireless (complimentary), smoking policy – non-smoking available. The property offers various recreational opportunities. OYO 10831 Balaji Guest House combines warm hospitality with a lovely ambiance to make your stay in Shillong unforgettable. Affordable guest house. Affordable price. Prompt Room Service. Good service. Prompt service. No a/c. No hot water. No privacy. Nice locality. Worst location. Nice location. No a/c. There's no air-conditioning. No AC. WITHOUT LIFT. No lift. No generator.